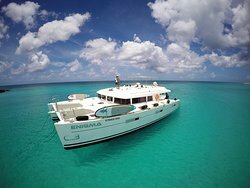 Tours from Bernard's Tours tend to sell out - travelers recommend booking in advance! We had the Mailman as our tour guide. Very knowledgeable with facts about the island. Wished we were able to stop more at places we passed for some photo opportunities. 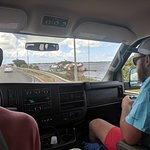 Interesting island with 2 countries, still so much visible destruction on the island from the hurricane. We were not really wowed by the tour, found it to be ok. Came to St. MAARTEN via Carnival Cruise Line. Booked this before hand due to the massive volume of people porting there (8 ships!). Upon arriving, everyone was so welcoming and professional! We didn't have to wait. As soon as we showed up, we were introduced to Jackson. He was fantastic! He gave great information about the island as we drove through and made the right very memorable! He was so helpful and really made the day special for us! Bernard, you have a good one! Thanks again Action Jackson! Your Nashville people thankyou! Excellent tour for a very reasonable price! DJ was our driver and tour guide and was very entertaining. We enjoyed the leisurely drive around the island with frequent stops for photo ops. Others have described this tour in great detail and we agree with everything they said - highly recommended. Bernard’s Tours came very highly recommended by other cruise goers and I now understand why. 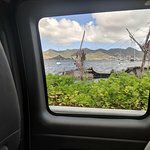 Having looked at Trip Advisor in advance I was very much hoping to have the Mailman for the tour and we were fortunate enough to have him host our St Maarten experience. The tour was comprehensive and represented great value for money. I would have loved more time at Maho but that is due to personal preference. We weren’t rushed at all and still got back to port with a few hours before the sail away so no stress about missing the boat. This tour is further highly recommended. Sorry for a long review but have so much to share about the experience. 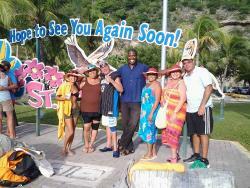 My husband, mom, aunt and I just returned from an Eastern Caribbean cruise with a St. Martin stop. 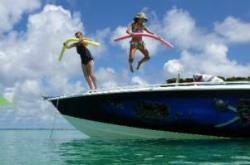 We scheduled a tour with Bernard's Tours after reading excellent reviews. We arrived on time, walked a short distance to the taxi area and checked in for our tour under a large white tent. It appeared that this was a central check in point for all tour companies. We were early and waited for everyone scheduled to arrive. Luckily everyone was on time. Our guide was DJ Dave. He introduced himself and was very friendly. We all boarded a tour bus. It was very clean, a bit crampy as we had a full group of 25. Once everyone was on board, DJ, explained the tour highlights. 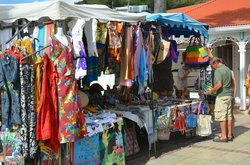 He also made everyone aware that free drinks were available including soda, water, Caribe beer and his special homemade rum punch with a KICK! We then started our tour. 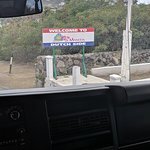 We visited multiple areas on both the Dutch side (St Maarten) and the French side ( St. Martin). The views were GORGEOUS and BREATH TAKING! DJ shared the history of the Island. It was obvious how passionate he was of the Island. Some of the stops included: Oyster Pond, Orient Hill top with beautiful panoramic views of the Ocean. We visited an Iguana area where we fed the Iguanas. There's a man who provides leaves for feeding them. He allows time for photos and welcomes donations. We gave him a couple of dollars. We went to the boarder which separates the Dutch and French sides. We stopped at a French market selling local souvenirs. I bought some handmade jewelry which was very unique and inexpensive. There is several little restaurants including a pastry shop. We each bought a pastry and everything was great! After about 45 minutes, we took off again. 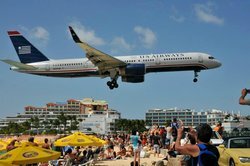 We also visited Maho Beach, where airplanes fly directly over your head and you get a jet wash (wind force) from planes departing which is VERY CLOSE. In fact there are warning signs to watch at your own risk. We were lucky enough to see a big Jet Blue plane land as well as one depart. It was very surreal to be so close. The plane taking off did put off some extreme winds which blew beach sand around. It was fun to experience! Maho beach was our favorite stop. Where else can you get so close to planes?? It was a once in a lifetime experience! We then drove back to our pick up point at the Ship. The tour lasted about 4 1/2 hrs. It was EXCELLENT and well worth the money, ONLY $40 for such a packed full tour! While the stops and photo ops were great, DJ Dave made it AWESOME! He was EXCEPTIONAL and one of the best guides we've ever had and we travel a lot.! 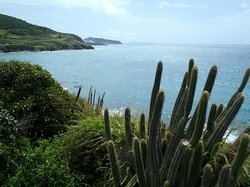 If ever in St Martin do yourself a favor and book a tour with Bernard's Tours. Request DJ Dave if you want your St Martin visit to be the best it can be! You will not regret it !! !